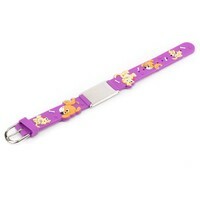 This Emergency bracelet kids features a soft rubber strap. 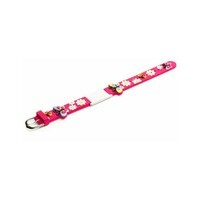 Parents phone numbers can be engraved onto the icetag, perfect for day trips, shopping, playing etc. 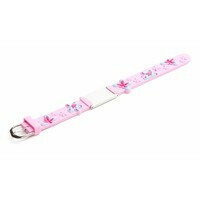 In the event of a medical condition a bracelet with crucial information is indispensable. It can even safe lives. We can engrave the stainless steel tag up to 10 lines of text. (5 on both sides) Medical details are often engraved on the reverse. 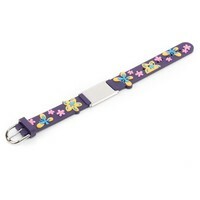 To fit wrists between 5" and 6.5" (13cm to 16.5cm).